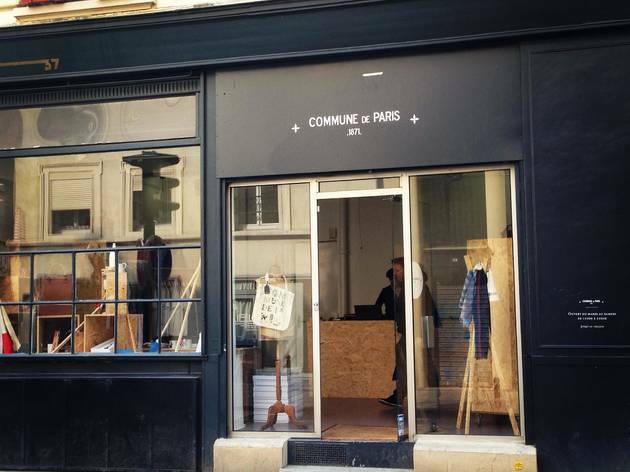 Named for the Paris Commune revolutionaries of 1871, the classy clothing brand Commune de Paris doesn't have quite the same controversial profile as its namesake. But aside from this paradox, the label can be proud of having created an individual look since it opened in 2008, with a vaguely 19th century aesthetic and artisanal savoir-faire justifying the high prices. 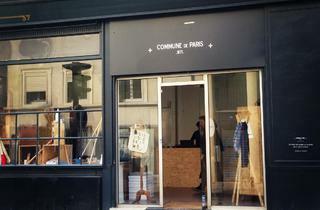 Their spring-summer collection for men, called 'Anonymes', is currently available in a pop-up at 37 Rue des Petites Ecuries in the 10th arrondissement. We particularly like the thorough finishing touches – leather edges, wrist detailing, carved wooden buttons – but also the high quality materials, not always a given even at this price level. Expect to pay around €140 for a shirt, €45 for a t-shirt and €165 for a pair of wooden-framed sunglasses (made in partnership with the Waiting For The Sun label, and red hot right now). The pop-up runs until June 1, after which you'll have to seek out the brand via their site online or in the French Trotters concept boutiques.